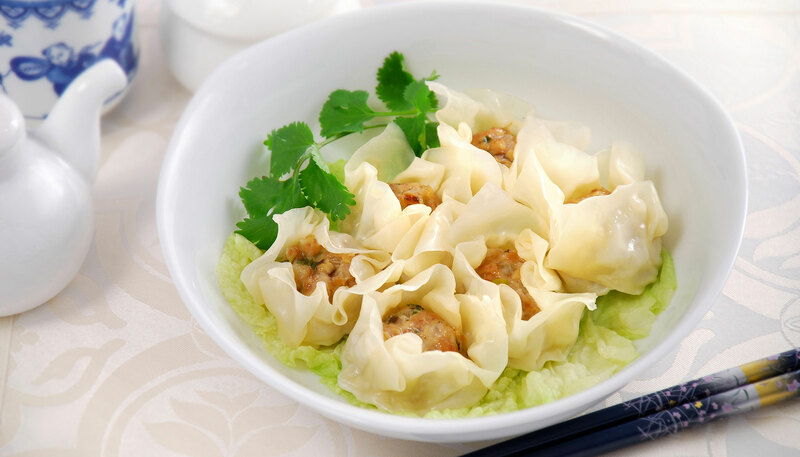 At-the-table cooking is great for dumplings because you can enjoy them while they're hot, as soon as they're steamed. 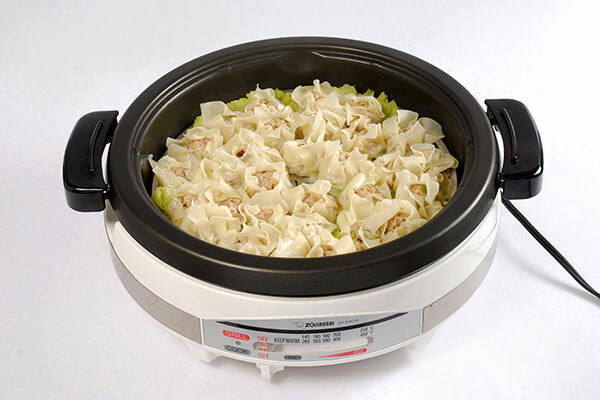 This recipe was developed for the Gourmet d’Expert® Electric Skillet (EP-RAC50). 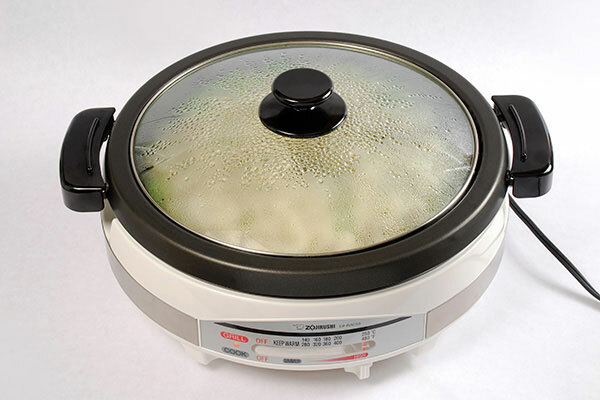 When making in the smaller EP-PBC10 model, please make sure the steaming plate (not included with the product) does not scratch the pan, and watch the water level so as not to boil-dry. Finely chop the onion, green onion and shiitake. 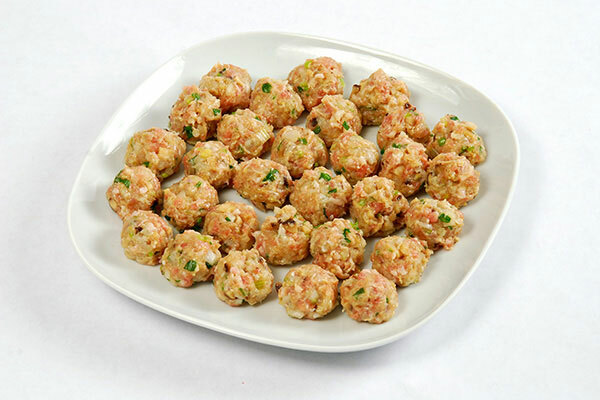 Add to the ground pork, and add the dumpling seasonings. Mix and knead well, and divide into 30 equal portions. 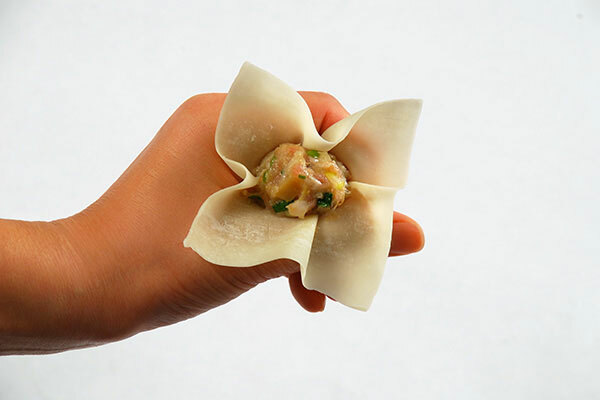 Make a circle with your left thumb and index finger, place a wonton skin over the circle, and place the filling from Step 2 in the middle. Wrap with the wonton skin. Add 3 cups of water in the pan and place the steaming plate with its legs at the LOW position. 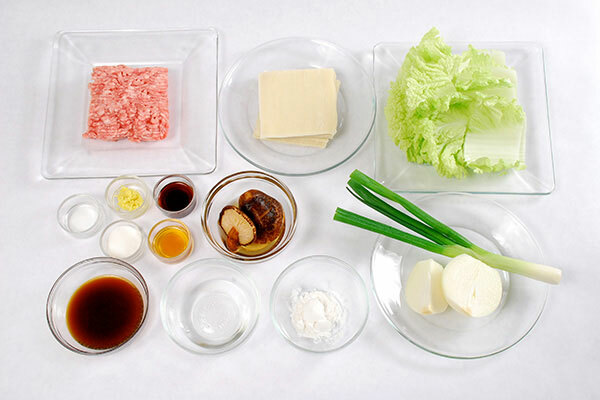 Line the steaming plate with Chinese cabbage and place the dumplings on top. Cover the lid. Turn the control lever to HIGH. After it reaches a boil (when steam emits from the gap between the pan and the lid), allow to steam for another 15 minutes. 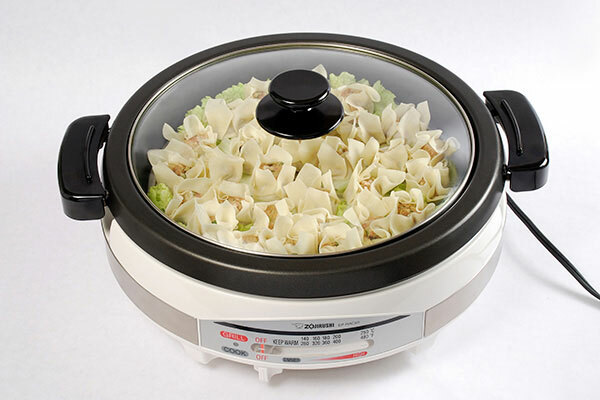 Upon completion, turn the control lever to OFF and serve the dumplings with ponzu sauce. Make sure to add more water if steaming consecutively.